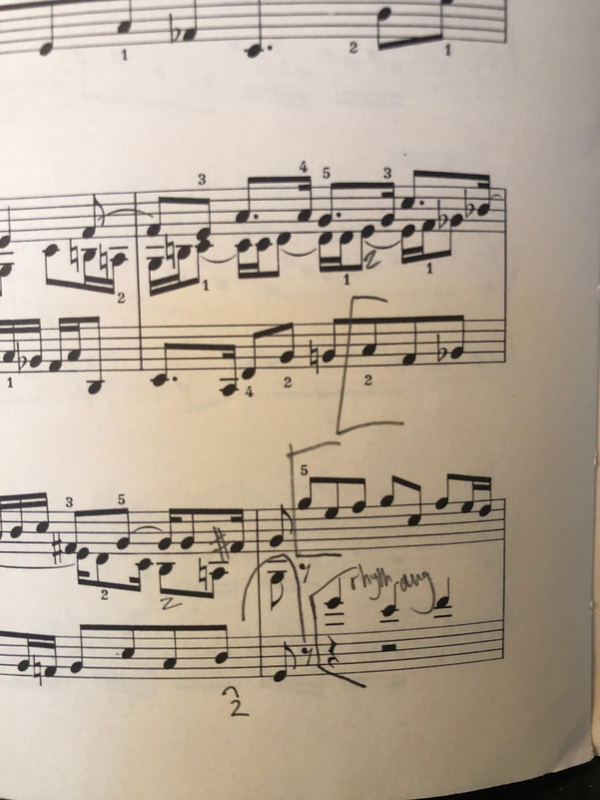 Just the opening bars of the C Major Prelude (Book 2) offer ample interpretive decisions for pianists, evidenced by the small sample of recordings I’ve put together. In choosing three records, I wanted musicians who may be emblematic of the performance practice at the time of recording. I should note that I intentionally left out the one pianist who is most known for Bach: Glenn Gould. I personally love his recordings and always am interested in his approach to a work––his disregard of previous examples of “how the music should go,” his artistic autonomy, his intensity…I could go on. However, I’m leaving him out of my sample of recordings because I think there has been enough analysis of his style, almost to the point of mythologizing. Although I’m stunned by what Gould did throughout his life, I simply am not seeking to be yet another voice talking about the nuances of his Bach interpretations. 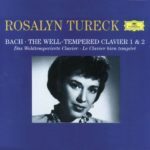 With that said, I’m most drawn to Rosalyn Tureck’s rendition of the first prelude (in addition to her entire recording of the Well-Tempered Clavier). She plays with a depth of sound, rather than a loudness, and never seems overtaken by the desire to be virtuosic for its own sake. 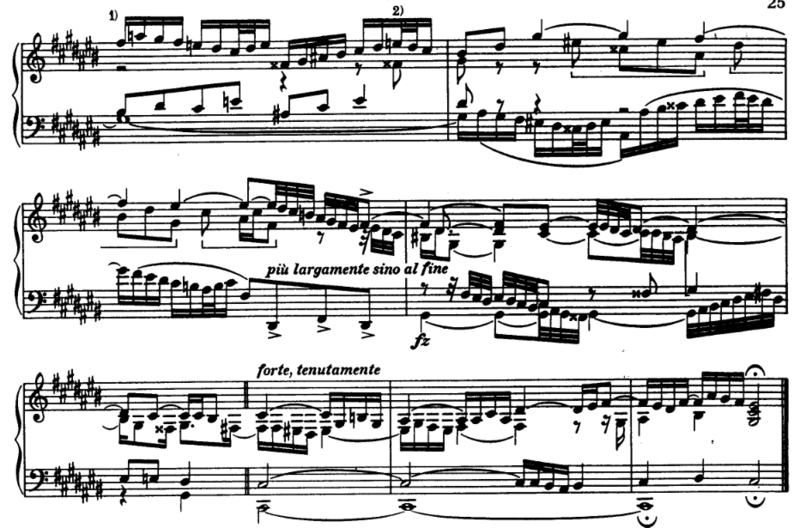 In faster works (the C Major fugue, for example), her tempi are attractive to me: unapologetically not too fast, emulatable. Essentially, her record is great one for score study. 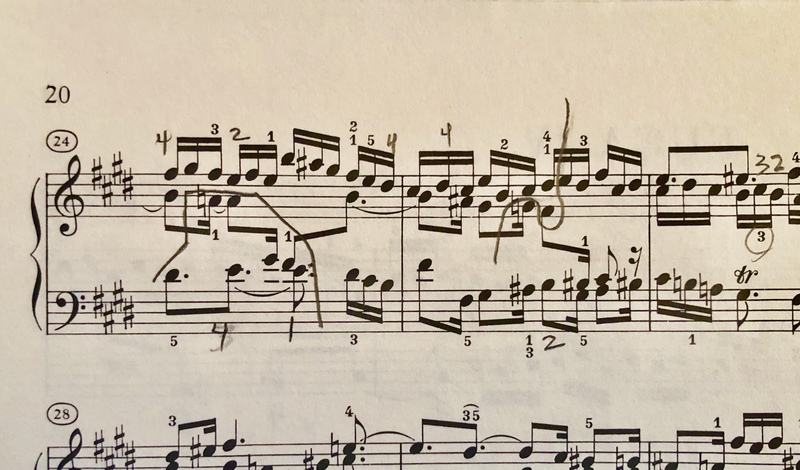 If you listen closely, you’ll hear how the first few notes accelerate into an a tempo; throughout the entire first line, there is a subtle ebb and flow to the right hand line (notably, a slight ritardando into the entrance of the alto voice at measure 3). 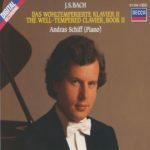 András Schiff, the pianists’ pianist, plays with marked clarity in tone and articulation. (Of all the pianists I’ve heard live, he has such a consistent, almost objective style in the music of the Baroque and Classical eras.) In his 1986 recording, his decisions of articulation seem entirely natural (though so difficult to emulate), tightly controlled yet spontaneous and fresh. Consistent with the time signature, Schiff makes it easy to feel a quarter-note beat by emphasizing the G on beat two of the first measure. This contrasts a bit with Turek’s rendition, which I can feel as either a quarter- or eighth-note beat throughout the opening line. Even though Schiff replays several notes that are indicated as ties throughout the movement, his generally brassy, soprano-dominate, confident sound makes me love these inconsistencies with the score. 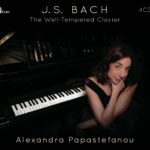 Alexandra Papastefanou sets up a tempo that is a bit faster than Tureck and Schiff but chooses not to maintain the tempo throughout the second page of the prelude. The recording space is also a wetter environment, which creates a bit more bleeding-over of sound (or, perhaps she’s just using a tad more pedal). The most striking element of her Baroque playing are moments of space between the hands; she’s not always playing the hands together, rather landing on a bass tone a millisecond before the other notes that are present. In the past, that characteristic was common in the performance practice of 19th-century music, perhaps in its effect of heightening the level of romanticism to the work. For the most part, we’ve since done away with that practice, perhaps in an effort to play the music more “correctly,” to be more literal about what’s on the page. 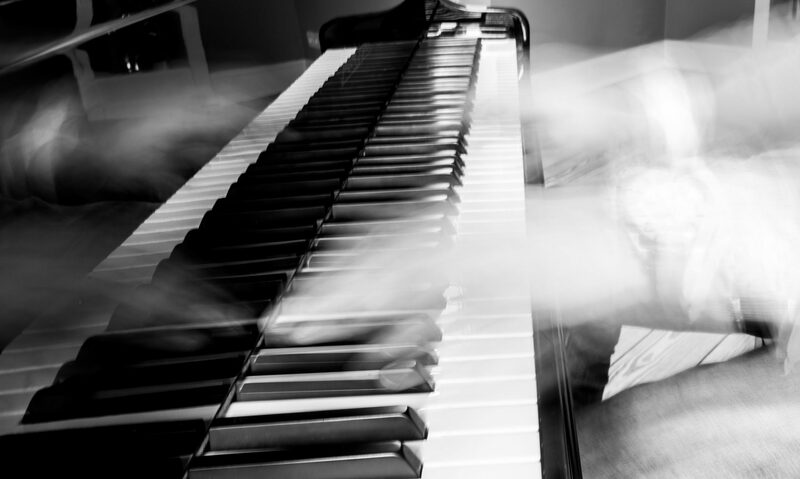 New Criticism, the mid-twentieth century system of literary analysis that sought to analyze work only as it appeared on the page (rather than through historical context or the writer’s biographical information), seemed to have an effect on the classical music world during the rise of competition pianism. Alexandra Papastefanou’s playing seems to reference an older tradition that I find interesting in today’s landscape. 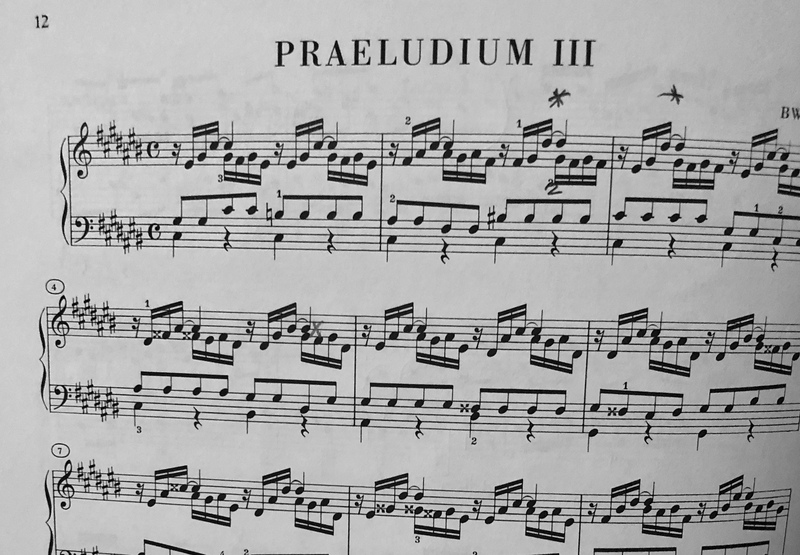 In the opening of the prelude, she seems to give emphasis on those thumb-notes––those leaps downward in the soprano melody––because it helps establish the measure’s harmony. The down side of this is that it creates a phantom alto voice, which isn’t present in the score. In my opinion, Papastefanou plays into agogic tones too often, though it is effective in creating a more romantic interpretation. Just based on the first few measures of music, I’m inclined to continue studying Tureck’s and Schiff’s recordings. 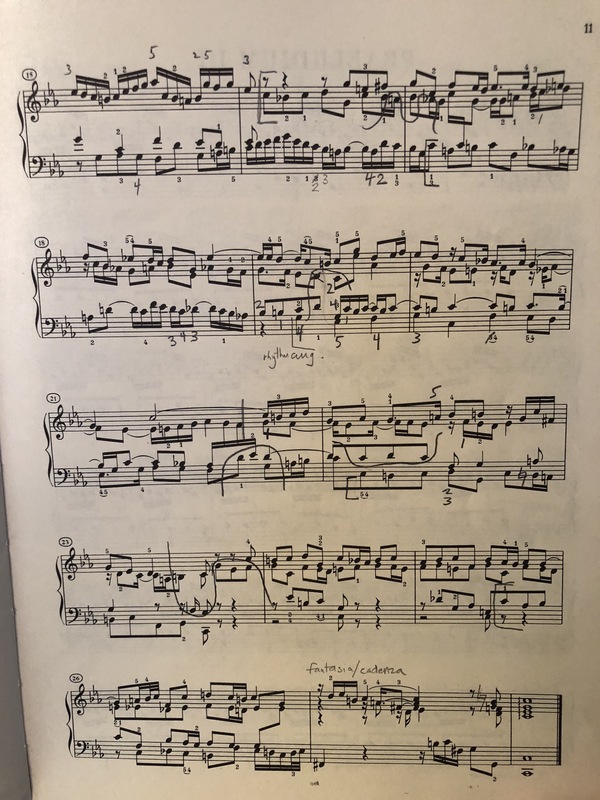 In the case of the latter, I find his playing unparalleled; it will serve as a reminder of possibilities within the Baroque style––possibilities I don’t necessarily plan to emulate (because that’s likely unattainable), but that showcase Bach’s musical transcendence.